We older, more experienced cooks sometimes assume everyone knows what we know. The other day I was visiting with some younger homemakers about cooking and discovered some of the things I assumed they knew, they didn't. Here are five questions that came up in our conversation. Do YOU know the answers? 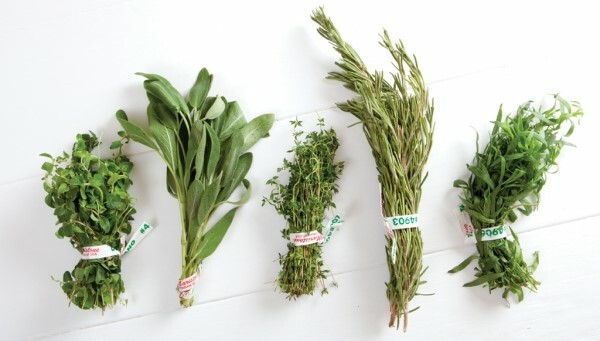 HOW do you keep fresh herbs fresh? Knowing that the dried, pale ghosts of herbs you get from a spice-rack in the baking aisle of the grocery store just aren't the same as the fresh stuff, I've been buying them fresh from the produce department. Lots of folks do this, but not all that many know how to keep fresh herbs fresh once you get them home. Here's the trick: To keep leafy herbs fresher longer, treat them like cut flowers. Trim the stems, submerge stems (or roots, if the plant is still living) in an inch or two of water in a glass or jar, cover loosely with a plastic baggie, and store in the refrigerator (exception: basil should be kept at room temperature-meaning out of the fridge but not next to your stove). Change the water every few days. Is a green onion a scallion, and which part do you use? First, yes, a green onion is a scallion. And second, you can use both. The white bulb part toward the root has a deeper, more oniony flavor. The dark green part is milder but adds nice color (Remember, we eat you with our eyes first), so this part makes a nice addition to salads, casseroles, and so on. 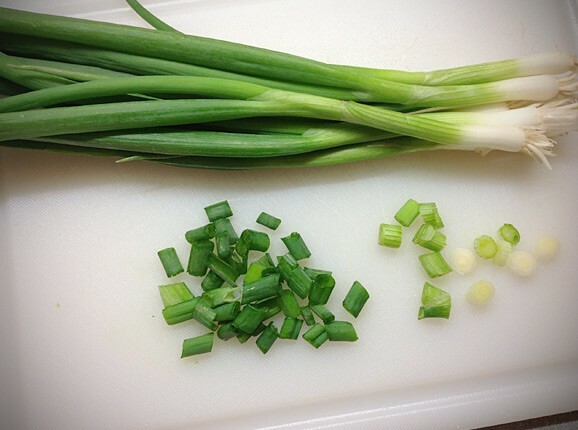 With a leek (it looks like a scallion but much larger), you will only use the white part. The green ends are bitter. 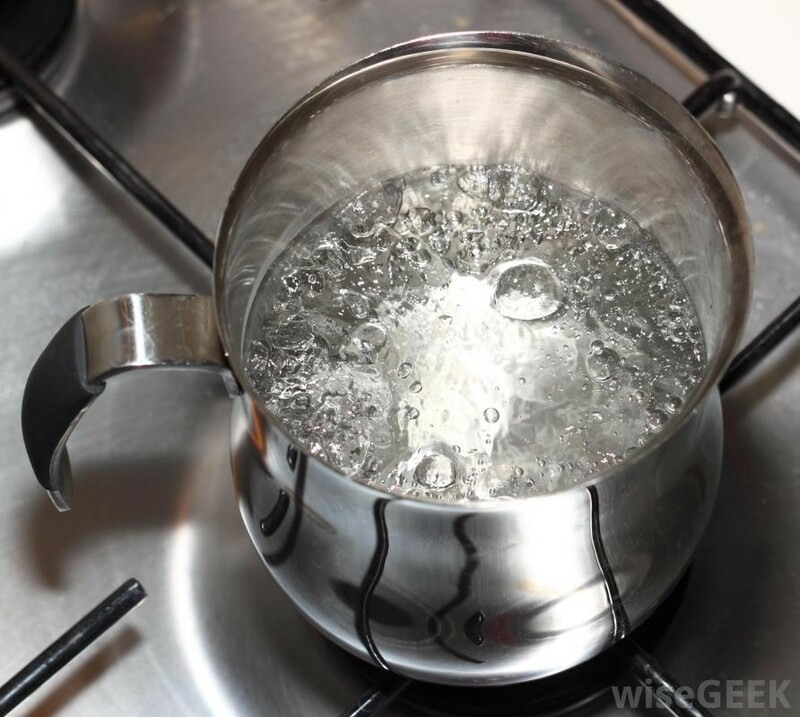 What's the difference between a boil, a rolling boil, and a simmer? GREAT question, and I found the answer on the website divinecaroline.com. She said, "A chef friend of mine explains it this way: Imagine the pot is a hot tub and the bubbles are people. A simmer is when the water is warm and the bubbles are just hanging out around the sides of the tub. A boil is when the water is so hot that people are kind of jumping around the tub. A rolling boil is when the people are trying to leap out of the tub for fear of being burned alive." Now I think I get it. How do you know if eggs are fresh? Considering how long food can legally sit in a supermarket, this is another good question. The answer? A fresh egg will feel heavy and sink to the bottom of a bowl of water, lying on its long side. 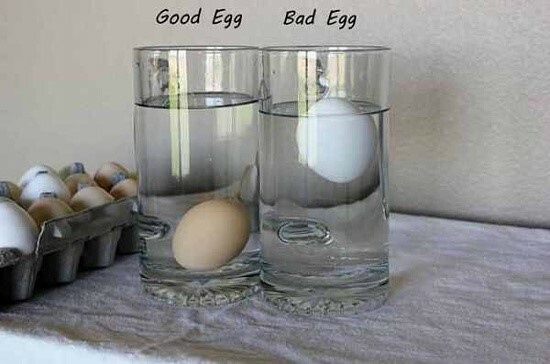 A less fresh egg will stand on end in the bowl of water. A bad egg will float. When in doubt, use your eyes and your nose; a rotten egg is pretty hard to miss. One side note: older eggs are actually better for soufflés than farm-fresh. 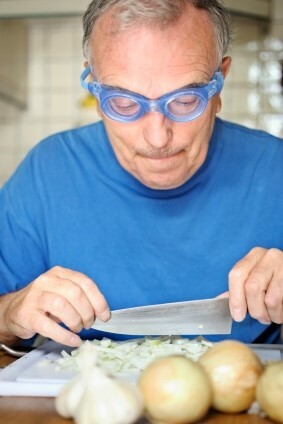 How do you keep from crying when cutting onions? There is a saying in the professional kitchen world: "The sharper your knife, the less you cry." Onions sting your eyes because, when you cut them, you rupture cells, leading to a chemical reaction that produces acidic gases that trigger your reflexive tear response. Sharper knives rupture fewer cells, hence less crying. Other strategies include freezing the onion first, cutting it under cold running water, burning a candle nearby, wearing goggles, and my personal favorite, making someone else do it.